You won’t see all we have to offer but some of the best Phuket scuba diving can be covered in our 3 day package. As an added bonus you’ll get a 10% discount for booking multiple days. Start your diving on either Sunday, Monday, Tuesday, Wednesday or Friday and you’ll cover the best Phuket diving tours. 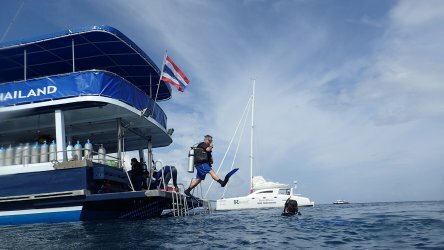 What Phuket Diving Sites Will I Visit? Nine in total from the clear waters of Racha Noi to the imposing shadows of the King Cruiser Wreck. A whole range of underwater topography will be covered, walls, reef, boulders, sand flats and multiple wrecks. You’ll of course visit our iconic dive sites such as Shark Point, Koh Bida Nok and the King Cruiser Wreck. A truly diverse three days of diving. 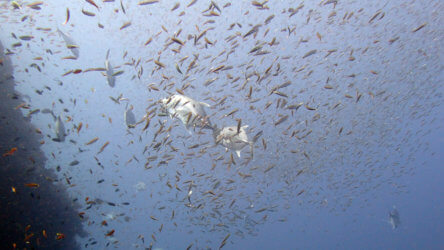 Along with the well known dive sites we have some great locations that tend to go under the radar. Koh Doc Mai for example is a terrific macro site. Seahorses, ghost pipefish and lots of vibrantly coloured nudibranch’s hide in the many cracks and crevices. On the Phi Phi day we visit the stunning Koh Bida Nok and usually Turtle Rock. Turtle Rock is a great dive site that really lives up to its name. As well as the almost guaranteed hawksbill turtles, there’s plenty of other life to see. Fan corals, barrel sponges and swim throughs all often surrounded by schools of different snapper species. Not quite, all of the dive sites are suitable for Open Water divers with the exception of the King Cruiser Wreck. You should be a minimum of Advanced Open water or at least have plenty of bottom time under your belt. You can take the opportunity to complete your Advanced Open Water for just an additional THB 4,200. Add another THB 3,500 and get certified with the extremely useful Enriched Air Nitrox Specialty. 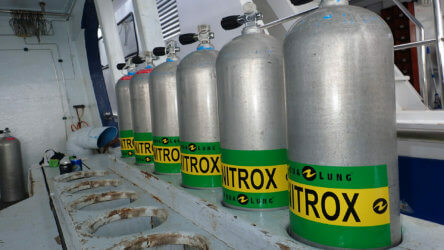 Our boat is the only Phuket diving day trip boat equipped with it’s own Nitrox membrane system. 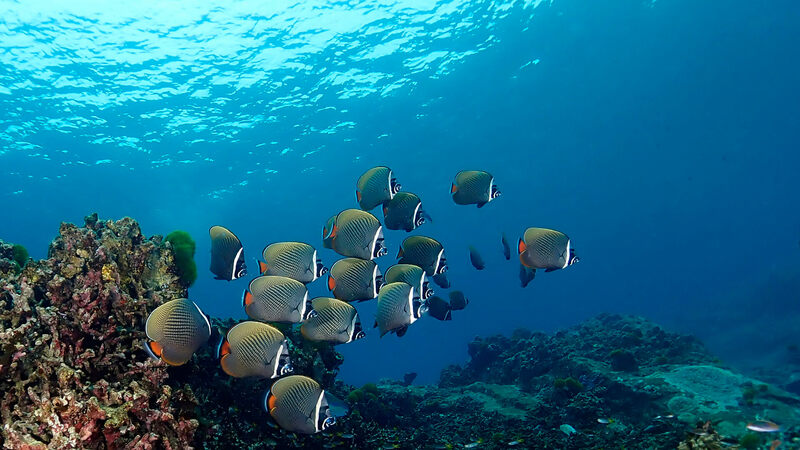 We’d love to real of a long list of spectacular marine life but there’s no guarantees with nature. What we can guarantee is if it’s there our superb guides will find it. Our dive masters and instructors dive at the sites everyday so if an animal has a permanent home, we’ll know the address. Not only will they be able to show you the best scuba diving Phuket has to offer but they’ll keep you safe. Our guides have intimate knowledge of the topography and can navigate safely around the dive sites even when the current is at its strongest. 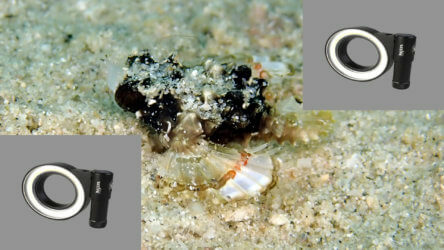 Vital on our sometimes small dive sites. A three day package will cost THB 11,340 and would include: 9 dives, guide, equipment, transfers (from Kamala, Patong, Karon, Kata, Rawai, Nai Harn and Chalong only), breakfast, lunch, snacks, water, tea and coffee. Pretty much all inclusive diving! So what are you waiting for? 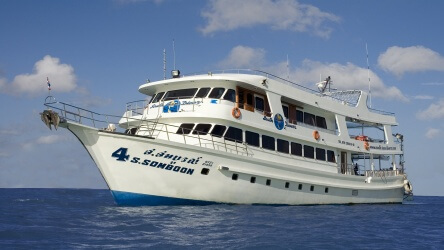 Join Local Dive Thailand for the best scuba diving in Phuket or contact us for a Similan Island liveaboard adventure! Posted in Amazing Local Dives on January 19, 2019 .